Children’s Service Society is committed to meeting the growth and developmental needs of children, fostering quality child care, and promoting positive relationships in biological, adoptive, and kinship families without regard to ethnicity, race, income, gender, age, or religion. Discovery Gateway children's museum, formerly the Children's Museum of Utah is located in downtown SLC. Discovery Gateway's programs and exhibits are designed to address the many ways children learn, as well as to help parents understand and support their child's development. Our engaging and interactive exhibits and activities inspire creative play and learning, and is fun for the entire family. The Governor's Commission on Literacy encourages every Utahn to read aloud and read stories with their children each day to help them develop a larger vocabulary, a longer attention span, better listening skills, and a solid reading foundation. Head Start is the only preschool program in Salt Lake and Tooele Counties that provides health, education, and self-sufficiency services to children and families living in poverty. We serve over 2,300 children per year and offer them an individualized plan to get them prepared academically, socially, and physically for Kindergarten. 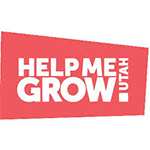 Help Me Grow understands that a family with resources is less likely to live in crisis. We help link parents to community-based resources and provide materials to help them understand typical child development for children ages 0-8 years-old, thus providing support in moments of difficulty or crisis. KUED offers special programs, activities, and resources to Utah communities through the Ready To Learn initiative. Ready To Learn uses award-winning PBS children’s television programs as a springboard to bolster children’s literacy, strengthen families, increase library usage, and encourage parental and early childhood educator involvement in children’ education. 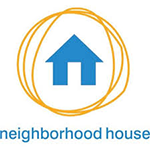 Neighborhood House provides quality, affordable day care to children and adults, based on their ability to pay. Children’s services are provided on income-based sliding fee scale, and include quality preschool, out-of-school programs and summer recreation programs. Preschool Pioneer Library was created by the Utah Education Network to addresses the need of quality early childhood resources for youngsters age 3-6. Preschool Pioneer Library is an online collection of high quality educational resources as well as parent and caregiver materials and resources. Reach Out and Read Utah prepares Utah’s youngest children to succeed in school by partnering with doctors to prescribe books and encourage families to read together. Reach Out and Read Utah trains doctors and nurses to advise parents about the importance of reading aloud and to give books to children at pediatric checkups from 6 months through 5 years of age, with a special focus on children growing up in poverty. By building on the unique relationship between parents and medical providers, Reach Out and Read Utah helps families and communities encourage early literacy skills so children enter school prepared for success in reading. Read Today is a literacy initiative that promotes reading and a love for books all year long throughout the state of Utah. With more than 15,000 registered readers on our online tracking program, participants are encouraged to record their minutes daily. Top readers and schools qualify for great prizes, including a helicopter landing by KSL Chopper 5 and a Big O Reward of $1,000. Read Today also provides one-on-one literacy tutoring between volunteers and K-3 students in more than 70 schools across the state. It is operated by the DMC companies, including KSL Broadcast Group, Deseret News, Deseret Book, Deseret Digital Media, and Temple Square Hospitality. The Ken Garff Road to Success's goal of the program is to encourage improvement in literacy which will help develop daily and lifelong reading habits, specifically by READING EVERY DAY at least 20 minutes, to improve vocabulary, proficiency, and communication skills. The program founded by the Robert H. and Katharine B. Garff Foundation, in collaboration with the Governor's Commission on Literacy, to encourage reading beginning in kindergarten. United Way of Salt Lake's mission is to improve lives and build strong communities by uniting individuals and organizations with the passion, expertise, and resources needed to solve problems. To achieve goals in the areas of education, income, and health, efforts are focused in neighborhood centers in specific communities and partnerships with cities, schools, businesses, faith-based organizations, and dozens of nonprofit organizations focused on helping all children receive a quality education from "cradle to career,". The mission of the UCRL is to provide outreach to the Utah PreK-12 educational community and to conduct research to generate new knowledge and to solve problems facing schools and classrooms today. The Utah Children's Reading Foundation's goal is to ensure all children learn to read early and well by providing education and encouragement to parents and caregivers on their important role in raising a reader. 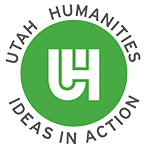 The Utah Humanities Council (UHC) believes that early success in reading is a critical component to all later learning. UHC’s Reading Readiness Initiative aims to develop long-term partnerships with organizations that are dedicated to preparing young children (through grade three) for a lifetime of reading. The Utah State Board of Education is committed to bringing literacy and numeracy, high quality instruction, and relevant curriculum with high standards to all Utah classrooms and measuring efforts with effective assessment. Voices for Utah Children works to make Utah a place where all children thrive. They start with one basic question: "Is it good for kids?" At Voices for Utah Children, they believe that every child deserves the opportunity to reach his or her full potential. 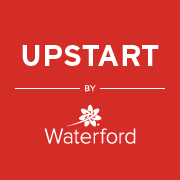 UPSTART is a Utah state-funded, computer-based preschool program done in the home. Participating children use the program for 15 minutes a day, 5 days a week. Families that don’t have a computer and Internet may qualify to receive a free computer and Internet service while participating in the program.